You finally made it! You have retired and now find that you do not have as much money as you would like. Let me introduce you to Affiliate Marketing for Retirees. It will take some of your time, but if you are like me, you have plenty of it on your hands. Why do I recommend affiliate marketing for retirees? That is a good question. 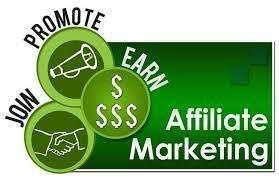 It is not affiliate marketing in general that I recommend. The affiliate marketing that I promote is that in which the marketer presents something that he or she is interested in. This will rule out about 95% of the affiliate marketing programs that you can find on the internet. But, if you find the right niche to build your business around, you will find yourself enjoying every minute of your time involved in your business. Another reason for affiliate marketing is that when built on a good foundation it can almost run itself. Any real business must always have some time investment if it is to continue to function profitably. Affiliate marketing is such a business. Once established it will continue to be profitable for years to come with minimum maintenance. Along with the reasons mentioned above is the ability to build your business at your on rate. 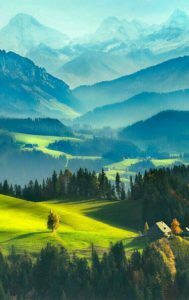 Depending on which program you may choose, you may have to learn and work at a pace which you do not prefer. If you are retired you may prefer to work at a slower pace to build your business. Still, others may wish to develop their business a little quicker. When I use the term “a little quicker”, do not get me wrong. As in building any business it takes time to lay the right foundation and structure to make it last. Affiliate marketing is not a get-rich-quick business. There are some who promote it as if it were. But, these are not the folks that you need to be allied with. In building your affiliate marketing business you need to be consistent, patient, and persevering. It should take from three months to a year to get your business established and growing. The time you invest and the particular niche you choose will determine this as much as anything else. There are some things that you will need to begin to build your business. Probably the most important thing you already have, a computer. It can be a desktop or a laptop computer. Some people even run their business from an IPad or a smartphone. I personally prefer a desktop computer. But thousands of affiliate marketers work with a laptop just as easily. Along with the computer you will need access to the internet. Almost everyone that has a computer has internet coming to their home or apartment. There are many though that use public WiFi to access the internet. The shortcoming of this would be the privacy issue. Some use their smartphone as a “hotspot” to have access to the internet. For this access I recommend Google Chrome browser. There are others that you may prefer. That is fine. The reason I prefer Chrome is that I can access my files by using certain tools that are available from Google through Chrome. The choice is yours. You use what works best for you. You are now ready to choose a product or platform on which to build your affiliate marketing business. There are many of them out there. Some are better than others. All of them at some point or another will cost you some money. So, as we begin our search for the tools to build our business, money will play a part. 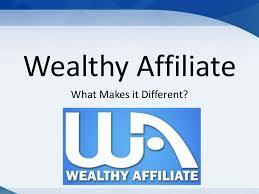 If you have plenty of money, you could have someone build you an affiliate marketing website. But if you pay them to build it you will more than likely have to pay them to run it. In that case you are just an investor. There is a reason I say that you will have to pay them to run it. To maintain an affiliate marketing site you must continually make adjustments to the site. These are not major adjustments. But if you do not know how the site was built and what went into it you will not know how to make the refinements. The time involvement is small if you know how to do it. That is where building your own site gives you the knowledge to do that. Because of this, my recommendation is that you build and maintain your own affiliate marketing site. This has a lot of bearing on the time that it will take to build your business. You will need to learn how to build and structure your website. This will take time, a little or a lot, depending on your personal learning curve and the time you put in. After all, we are retired. This will give you a positive action to fill your time and give you the knowledge you need to maintain and keep your business growing. Affiliate marketing for retirees is the type of business that allows a person to set his or her own schedule. You can work at it any time of the day or night. 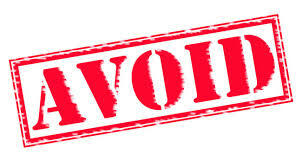 As you search for the program or platform on which to build your website there are a few things to avoid. One of the big things to avoid is a program that promises to make you money fast. We call those “The Get Rich Quick” scam. There is no such thing as a get-rich-quick business that is truly legitimate. Another approach that you should question is a program wants you to pay a lot of money up front. If you do not have lot of knowledge of what it takes to build an affiliate business you could never know if you are getting your money’s worth in any product. So, do not pay out a lot of money up front. There are some programs that seem to be a bargain at face value. These programs say that they are worth thousands of dollars, but they will sell it to you for a fraction of its cost. Chances are they are not even worth the deal they are giving you. These type programs will get you in the door with a cheap price and then insist that you purchase more add-ons if you want your business to succeed. They are not a bargain at any price. 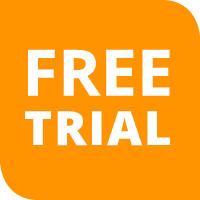 Almost every program will offer you a free trial. Most free trials are legitimate to varying degrees. There are the “Free” trials that last for 30 days. Some last for 60 days or 90 days. Most of these “Free” trials require that you register a credit card with them. What is sometimes not made clear is that they will charge your card for a month, or whatever the length of the “Free” trial is. If you decide not to purchase their product they refund your payment. But they only do it if you “cancel” your purchase or membership. They are hoping that you forget to cancel and they will continue to charge you for their product. So, if you do decide to sign up with such a program as that and decide not to follow through, do not forget to ask for a refund. I am retired and wanted to be able to stay busy and make some money while I was doing it. However, I wanted to set my own hours. I like to do things with my wife and enjoy singing in our local chorale. My wife still works, so I have to be flexible if I am to enjoy doing things with her when she is off. I found a program that allows me to learn at my own pace. It has all the tools that I need to learn how to build my own business site (which, in my case, is a blog site), and has equipped me with knowledge on how to maintain and grow it in the affiliate marketing arena. I believe it is the best platform for affiliate marketing for retirees. One of the amazing things about this program is that it has a truly “Free” trial. Instead of registering a credit card they only want you to register an email address. To give you a real taste of what the program offers they give you 10 free lessons out of their library of thousands of lessons. With those ten lessons you will learn how to set up your own website. Along with that they give you 2 free websites which they host for free. After you have completed the 10 lessons you will have a pretty good idea if you wish to continue with the program. If you decide that affiliate marketing or this program is not for you, OK. At least you will have some knowledge by which to determine if affiliate marketing is for you. If you decide not to go on to the paid program, then keep the two free websites and experiment with them. But, if the entrepreneur bug bites you and you become excited about building your own business, then join the Premium membership program. For $49 dollars a month you will have unlimited resources at your fingertips. Thousands of tutorials and videos covering every aspect of and online business or affiliate marketing. You will also have 24 hour support. This support addresses your problems within minutes, not hours or days. It is the best in the online marketing business. Retirement is not the time to become a couch potato. It is a time when you should be exercising your creative juices. What better way than to choose one of your favorite hobbies and build a profitable business around it. Build a business that will not only be fun but will bring in extra money to do some special things you have always wanted to do. 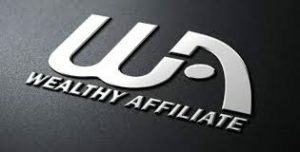 The program that I recommend is called Wealthy Affiliate. It gives you the truly “Free” trial and lets you keep the free websites if you do not decide to become a member. I am convinced that if you give the free trial a chance, you will be sold on Wealthy Affiliate just as I was and am. For only $49 a month you will have access to all the cutting edge technologies that are used to build internet businesses. There are no upgrades. If you wished to purchase all the tools and services that Wealthy Affiliate makes available, it would cost you thousands of dollars a month(really). But, because the founders of Wealthy Affiliate use their own platform they know what it takes to build a business. And they want to help you build your business. Alright, retirees, are you ready to build your successful business? We may be retirees but we are not done contributing to our community, our nation, and our world. We have much to give. And building an affiliate marketing business will give us the means to be a blessing in many areas.